Ahhh, it is that time of the year. The Christmas time. Don’t you like that smell of mulled wine, mixed with gingerbread and Christmas sweets? Throughout the old continent, you will find many eye Christmas markets that must not be missed. From home boiled wine in Zagreb to glögg in Gothenburg, let us take you on the magical winter journey to 15 best Christmas markets in Europe. Once upon a time, one of Croatia’s best-kept secrets was that her capital city Zagreb had one of the best Advent scenes in Europe. 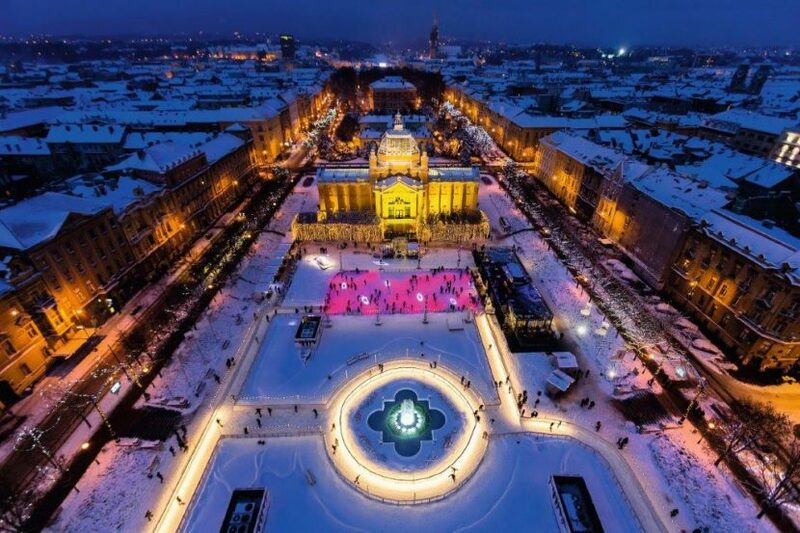 That top kept secret has been revealed because, for the 3rd straight year, Advent in Zagreb was voted as the best advent in Europe by European Best Destinations’ online poll. That’s right. Three titles in a row. Real votes from real people. Super legit. The Advent has a programme packed with events, concerts and food specialities. Twinkling candlelight, colourful displays, festive food and drink, concerts, choirs, it’s all here. Don’t wait for Santa sitting by your fireplace, find him in the city! Most of you know Salzburg as the city of Mozart, right? But did you know that this is also the city of Josef Mohr? Who is Mohr you might ask? Josef Mohr was the local composer who wrote Silent Night, one of the most famous Christmas songs ever written. You know this song, right? 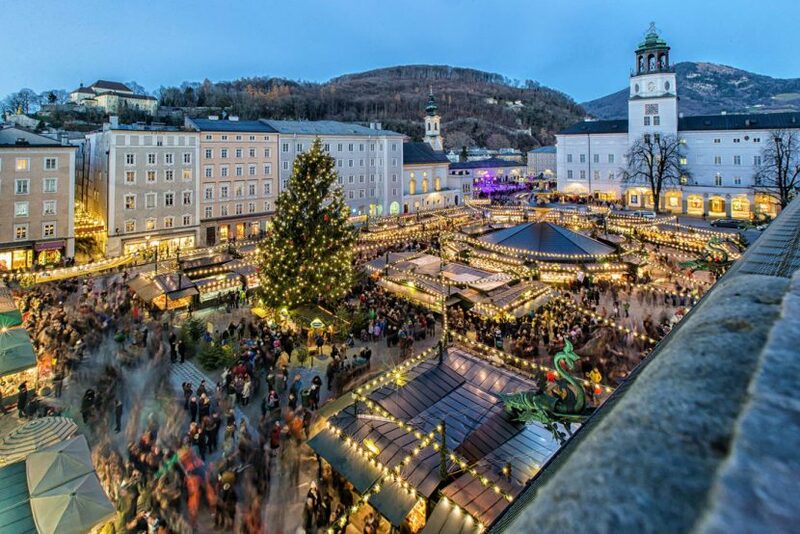 Whether it was his influence or there is something truly Christmasy in Salzburg, we are not sure, but what we can tell you is that it is one the most picturesque Christmas destinations in Europe. The Salzburger Christkindlmarkt is the main place you should check out here. Filled with the festive hubbub of stallholders and Christmas tree sellers, you will feel as you have been transported to a winter wonderland. If you’re bringing kids, check out the Advent Magic market at Hellbrunn Palace. More than 400 conifers are decorated with red Christmas balls and rope lights, while the palace itself is like an oversized advent calendar with fountains, gardens, and an eight-metre Christmas angel! If you look at Munich’s town records from the past, you will find that they mention a “Nicholas Market” near the Frauenkirche as far back as 1642, with gingerbread, nativity figurines and chimney sweeps made of plums and almonds amongst the fancies on display. . . many of which you’ll still find in the same place almost four centuries later. Most of the city’s Christmas markets are organised around a 100-foot Christmas tree in Marienplatz. It is here, where you will feel the true Christmas spirit. With old-world charm in spades and pretty chocolate-box architecture, the capital of France’s Alsace region (pictured, above) is pretty much the perfect setting for a Christmas market. No wonder they’ve been holding one here annually since 1570. It’s also among the largest in Europe, with around 300 wooden stalls spread across 11 sites. Pick up traditional Alsatian delicacies at the place d’Austerlitz, go ice skating on the place Dauphine or keep kids entertained at the Children’s Village on St Thomas Square. Budapest is one of those cities where it gets very magical this time of the year and big market on Vorosmarty Square, right in front of Gerbaud, the famous coffee house, is a where it all happens. The market is used as a vehicle to introduce visitors to Hungarian customs, folk music and dance, as well as arts and crafts. And it’s all perfumed with the scent of mulled wine, fresh ‘langos’ bread and good old Hhungarian stew. Your Christmas fairy tale is alive, and it takes place here, in Budapest. P.S. In case you visit the Christmas market in Budapest, here are TOP 10 things to the in the city. Prague is said to be one of the most beautiful cities in the world. 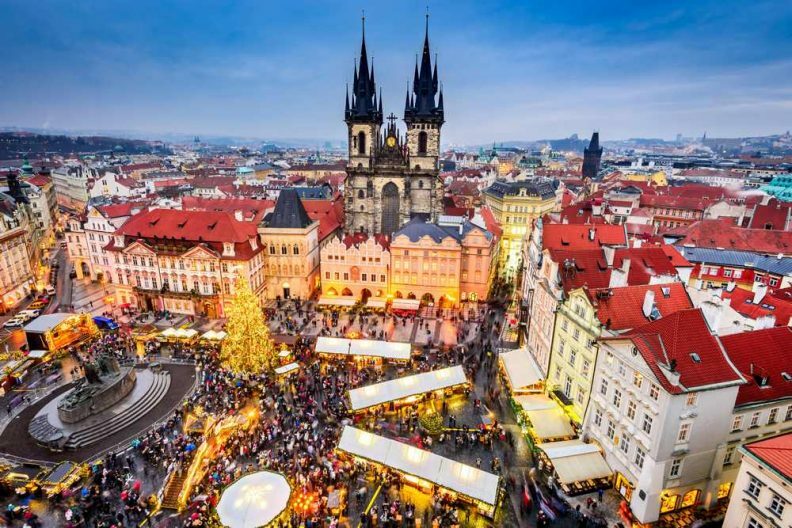 Charming, medieval and quite affordable, it has captivated the hearts of millions, but it is during the Christmas time when the Czech capital becomes a true picture-perfect winter wonderland. Just image enjoying “trdelnik” on Wenceslas Square while the New Year’s fireworks light up the sky. Imagine the city full of people strolling from Havelske Trziste to Namesti Republiky. Imagine the Christmas songs being played from every corner of the city. When you get hungry, don’t miss the local ham. Just follow your nose, every market offers it and it’s best washed down with local hot mead. When we talk about elegance and class, Vienna is probably the city that pops into your mind. Fulled with museums, galleries and rich history, Vienna is a dream place for all the culture lovers. At Christmas, however, the city ups a gear. 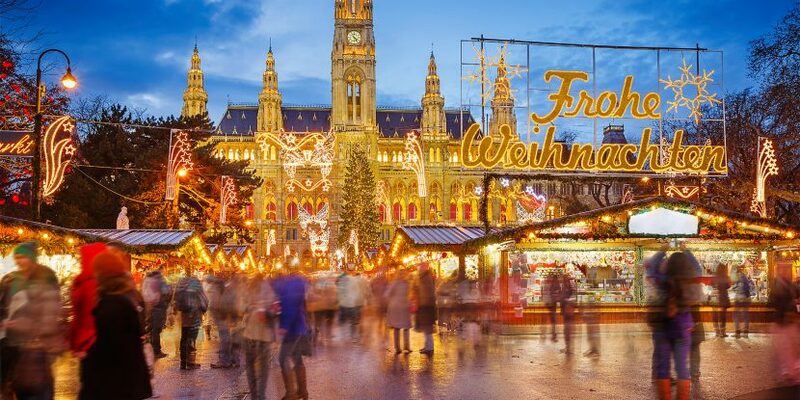 Seasonal markets here are on the go since 1296, when Emperor Albrecht I granted Viennese traders the privilege of holding a December market for their customers. The main event is the Christkindlmarkt, located next to Vienna’s Town Hall. Christmas sees its Gothic facade lit up with fairy lights, and some 140 stalls shopping out the roasted almonds and gingerbread to three million visitors a year. Austrians love their gemütlichkeit (cosiness), a sensation you’ll be able to tap into in the city’s classy cafes as much as its markets – more of which you’ll find at Schönbrunn Palace, Am Hof and Karlskirche. Who wants to enjoy Poland’s most beautiful city this Christmas? 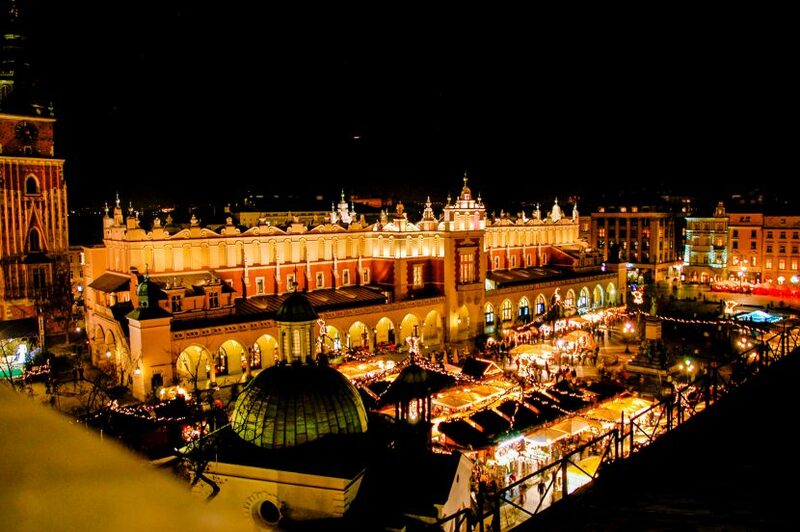 The Christmas market in Krakow takes place in the mammoth central square, Rynek Glowny, in the middle of its atmospheric Old Town, where festivities are taking place since 1257. Year by year, the city’s Christmas markets grow more and more, become nicer and nicer, making it one of the prettiest Christmas markets in all Europe. The prettiness extends to prices, too, as Krakow is one of the cheaper Christmas market cities you will ever visit. No damage to your wallet here. Add to this the magic of Wawel Castle, the clip-clopping horses-and-carts and the energy of the city’s 21st-century bars and cafes, and you will have a Christmas to cherish. Ok, so the “little town of wood and cloth” isn’t the sexiest tagline a city can have, right? 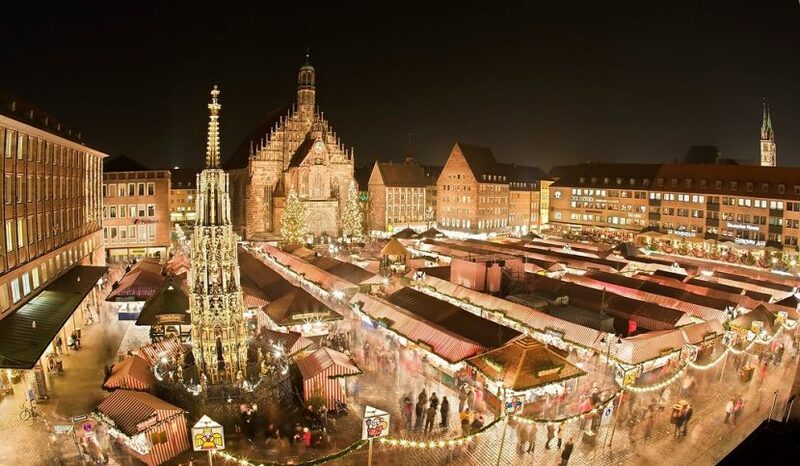 But Nuremberg is probably Germany’s most famous Christkindlesmarket! 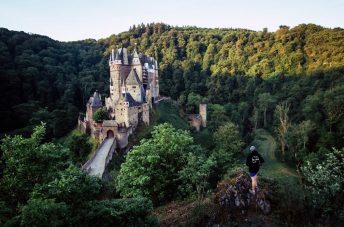 It is so popular in fact, that more than 2 million people visit it each year. 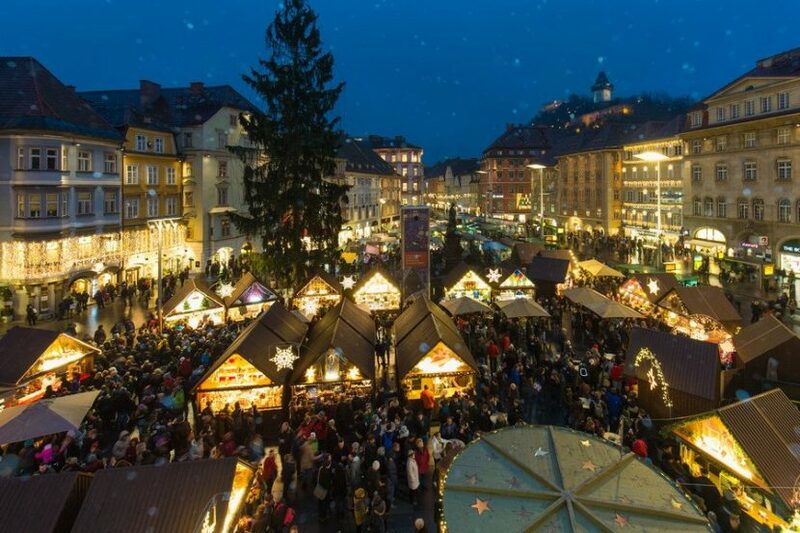 Though it might sound packed, head there during the daytime any weekday and you’ll be able to enjoy more than 180 market stands selling everything from Nuremberg’s famous Prune Men to blueberry mulled wine. The Christkindlesmarkt begins the first Sunday in Advent when the famous Nuremberg Christkind appears on the balcony of the Church of Our Lady, and another local angel, the Rauschgoldengel, glistens from every corner. There is even a cool story here. It is believed that the original Rauschgoldengel had been fashioned by a local doll-maker whose daughter lay dying of fever during the Thirty Year War (1618-48). Before she passed away, he heard the flutter of angel’s wings and was inspired to create an angel in her memory. 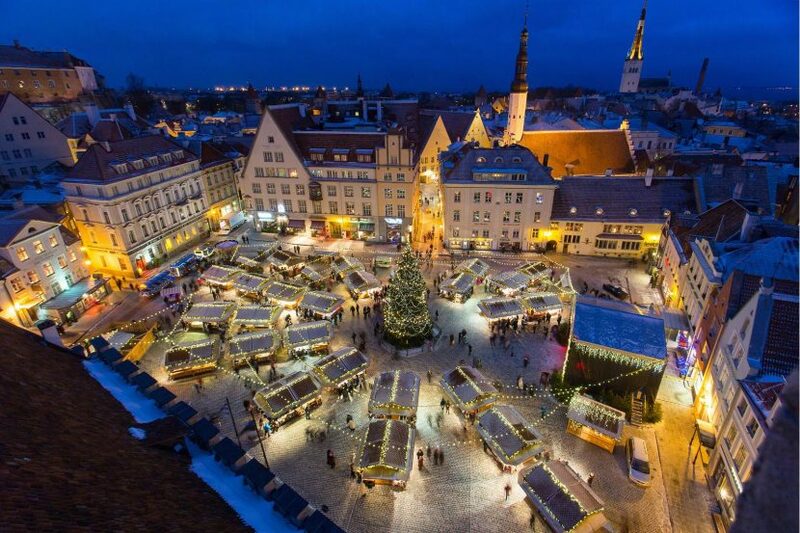 Tallinn’s Christmas market may not be the biggest one you will ever find, but it has that something. Tiny huts covered in fairy lights fan out from a huge Christmas tree in the centre of the UNESCO-listed old town square and with the grand old buildings in the background, the whole scene is reminiscent of a Victorian Christmas card. 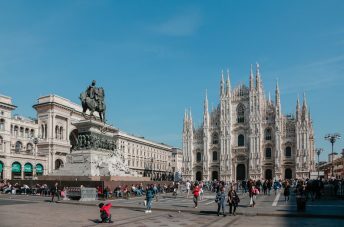 What is very surprising is that the Christmas market has only been here since 1991, even though Christmas has been celebrated in the square since the 15th century. You’ll find plenty of mulled wine and gingerbread on offer as you browse the stalls, which mostly sell local handicrafts and traditional Christmas delicacies, such as sauerkraut and blood sausage. But maybe the coolest thing about Tallinn market is that it stays open well into the New Year. You know Russian Orthodox Church has its own calendar, which means the Christmas here falls on 7th January. So, when all other Christmas markets are finished, head to Talin and let the Christmas magic continue. 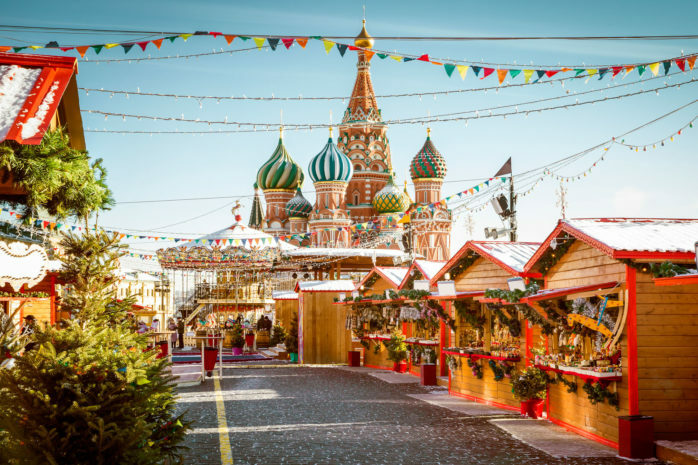 On a backdrop of the majestic St. Basil’s Basilica, and surrounded by Kremlin’s imposing walls, Moscow’s Red Square Christmas fair boasts impressive surroundings. 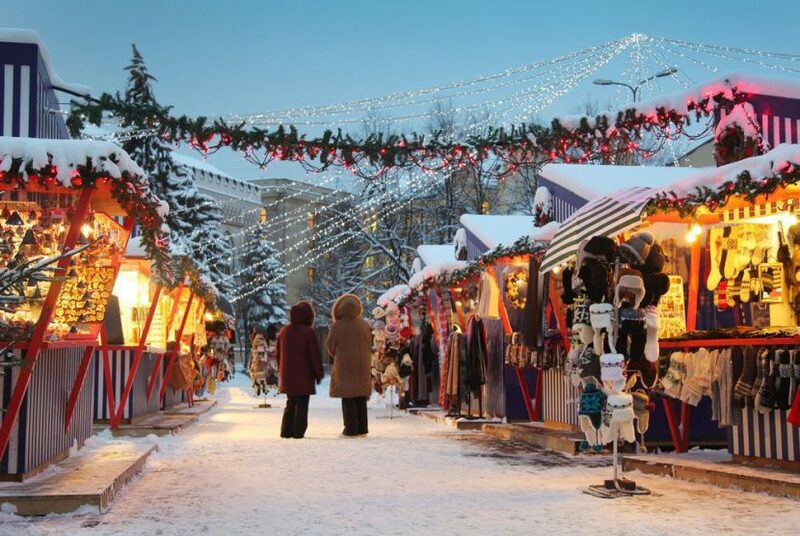 With around 20 stands selling Christmas decorations and local souvenirs, like hand-crafted matryoshka dolls and other Khokhloma-painted toys, you will see why winter in the best time to visit Russian capital. Once you’ve worked up an appetite, head to the food stalls for traditional Russian dishes such as baked potatoes with mushrooms and pickles, or pancakes with caviar. Round up with the inescapable Christmas set: mulled wine and Russian gingerbread. 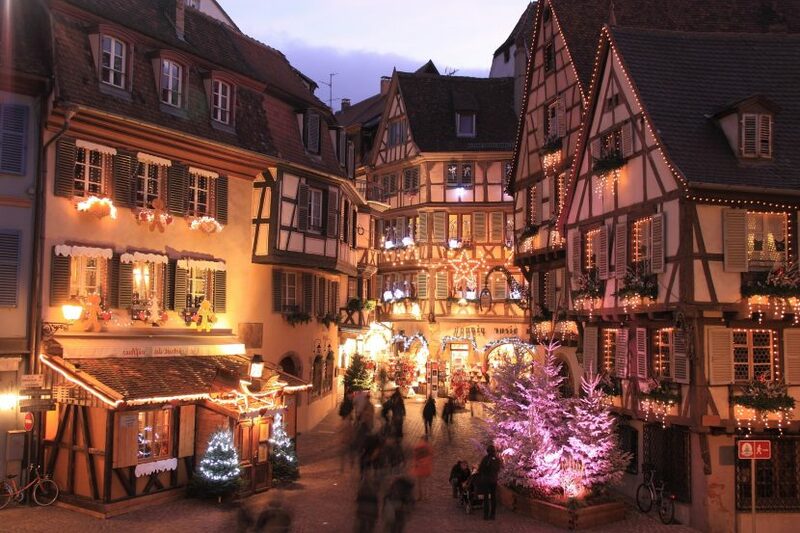 Its picturesque Old Town is home to a variety of traditional Christmas markets. Some of them such Franziskanerviertel, Faerberplatz, Mariahilferplatz, Mehlplatz and Glockenspielplatz may be hard to pronounce, but are easy to find, being within walking distance of each other. Franziskanerviertel is the city’s oldest and specialises in Styrian handcrafts and locally produced foods. At the Eiserne Tor market, in the centre of the city’s pedestrian zone, the stalls are run by charities so you can shop with a clear conscience. For an international flavour, check out Tummelplatz, which has crafts from around the world and stall holders that change daily, so it’s always worth a repeat visit. Check out the ice crib at the Landhaus, the giant Advent calendar projected on to the Rathaus and the “Office for Christmas Carols” where you can pick up sheet music and lyrics to get you carolling with the best of them. Santa Claus really comes to town in Amsterdam, where you’ll find not just one Christmas market, but 26 of them! Top picks for visitors are the markets on Leidesplein and Museumplein, where villages of wooden chalets await, with hearty festive food and hand-warming drinks. Try some of the local snacks, such as olibollen, type of Dutch doughnuts, and don’t worry about how healthy they are, because there is a big ice skating place, where you can burn all the calories! Make sure you check out the Amsterdam Light Festival if you’re visiting between December 1st and January 21st to see the sky above city’s canals lit up like the Northern Lights. 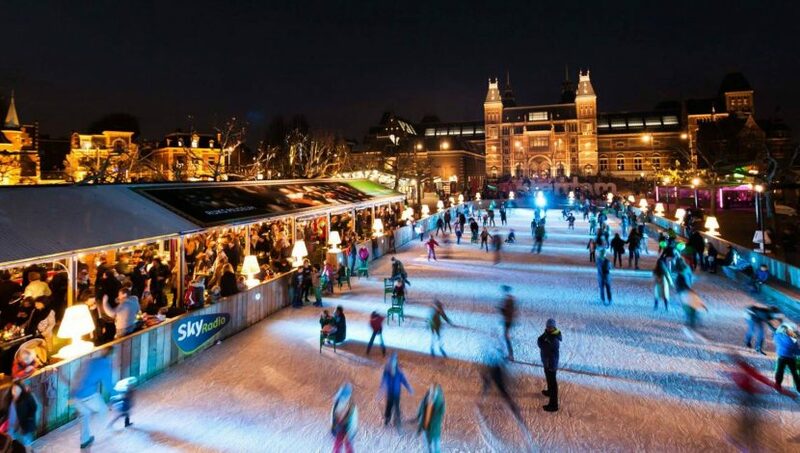 And in amidst Christmassy icons such as the 20-metre tree on Dam Square and Christmas markets and ice rinks at Museumplein and Leidseplein, there is a night market for night owls, called Pure, which features artisanal foods, and the city’s great flower market, where the locals get their Christmas trees. Daylight may be in short supply during Swedish winter, but you’ll be tripping the light fantastic in ‘Scandinavia’s Christmas city’, Gothenburg. 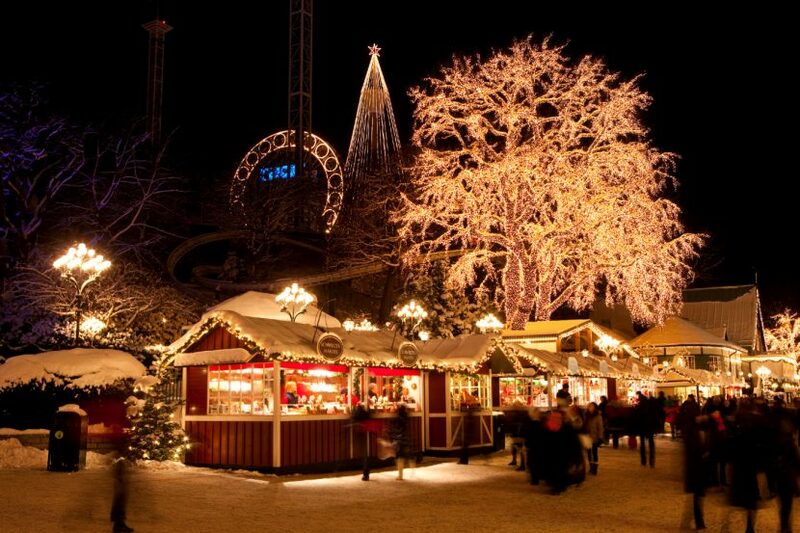 Stroll along 3km of illuminations in the ‘Lane of Light’ beneath more than five million fairy lights and check out at least one of the city’s four main markets – Liseberg, Haga, the Röda Sten Art Centre and at Gustaf Adolf’s torg. In case you get cold, there is nothing better to warm up then a glass of mulled wine, or how they call it here, glögg. And if you want to buy some nice Christmas present for your friends and family, there are numerous local handicrafts and traditional decorations to choose from. What we definitely recommend is to try some of the typical Swedish festive delicacies. Smoked sausage, reindeer meat and traditional Swedish Christmas sweets are a must. The Latvian capital’s main Christmas market is a page out of a children’s fairy tale. Located in the Cathedral Square at the heart of Riga’s historical centre, an art nouveau pearl that doubles as a Unesco World Heritage Site, this market is crammed with local handcrafts – candlesticks in Latvian wood, wax candles and hand-knitted winter gear to mention a few. Get all warm and fuzzy on mulled wine, while nibbling roasted almonds or enjoying some glazed gingerbread. Make sure to try the local smoked meats, and take home a glass of the famous Latvian honey. And…..this was it guys. 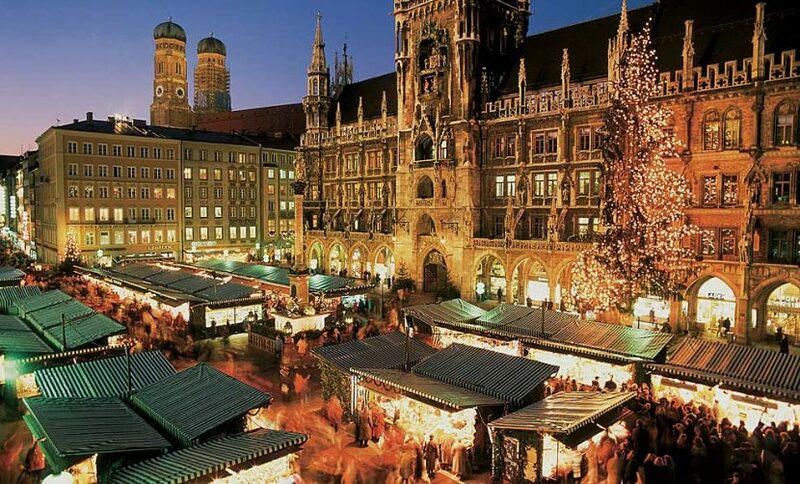 Best Christmas markets in Europe to visit this year. Do you have your favourites? Sources: Irishtimes, Independent, Skyscanner, Momondo, Pressreader, Christkindlesmarkt, Croatia and Travelzoo.